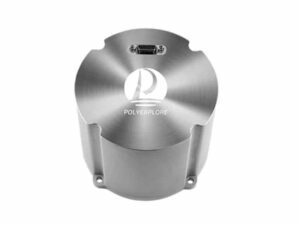 Polynesian Exploration has announced the launch of the Polynav2000F, a high-performance GNSS-aided fiber optic gyroscope (FOG)-based Inertial Navigation System (INS) for demanding applications such as unmanned aerial vehicle (UAV) surveying and mapping. The Polynav2000F tactical grade inertial sensor offers a dual antenna, odometer input, as well as a dual frequency RTK support that provides centimeter level accuracy with fast conversion time while maintaining superior performance during GNSS satellite signal outages through its tightly coupled GNSS and INS systems. The system is capable of continuously generating highly accurate attitude measurements regardless of whether the platform is moving or static. The system successfully maintains position during GNSS outages while going under bridges, inside tunnels or during similar signal obstructions. The Polynav2000F is designed to fully utilize the advantages of both GNSS and FOG inertial navigation systems to provide centimeter-level position and velocity measurement accuracy with dual frequency RTK, together with less than 0.05-degree accuracy attitude measurements. The Polynav2000F is ideal for 3D HD aerial mapping and surveying, as well as mobile mapping while driving in an urban environment. The odometer input support provides for even tighter coupling and support during GNSS outages. “The Polynav2000F targets demanding applications such as 3D HD mapping and surveying as well as autonomous driving and robotics. The system enables complete and reliable solutions for the above applications. Exhaustive field tests show that our product performance is on par with the best in the industry while maintaining an excellent cost structure,” commented Polynesian Exploration CEO, Dr. Senlin Peng.